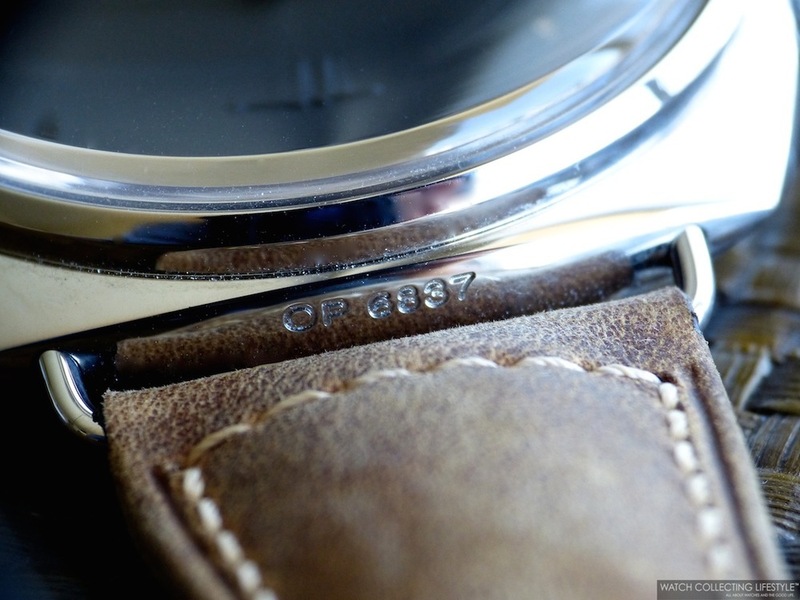 Insider: Officine Panerai Radiomir S.L.C. 'Siluro a Lento Corsa' 3 Days PAM 425. Iconic Like its Predecessor from 1936. The Officine Panerai Radiomir S.L.C. —Siluro a Lento Corsa— 3 Days, represents a tribute to the history of Officine Panerai and to a watch that has constituted a fundamental milestone in the history of professional diver’s watchmaking. Many of the characteristics of this watch come straight from the prototype created by Panerai in 1936 to equip the commandos of the Royal Italian Navy. Fitted with a cushion case in stainless steel with measuring 47 mm in diameter, the Radiomir S.L.C. 3 Days features the iconic slender wire strap attachments of the Radiomir line as well as the conical —onion shaped— crown and a very simple dial with a special feature on bas-relief. Its matte black dial with a very simple and minimalist design features alternating bar and dot-shaped hour markers following the legendary Panerai sandwich dial construction, in which a plate is filled with a layer of 'ecru' —vintage patina colored— superluminova and the luminescence from it emerges through the cutouts corresponding to the markers cut in the upper plate. The S.L.C. name of this watch, refers to the “Siluro a Lento Corsa”, the slow-speed torpedo on which the commandos of the Royal Italian Navy rode during their heroic underwater missions, equipped with Panerai watches and instruments. One of this slow-speed torpedoes appears in bas-relief on the dial and the inscription “S.L.C.” is engraved on the flange at 12 o’clock. Just like on the PAM 372 —reviewed here— the Radiomir Panerai words are carved out from the dial, rather than printed. The watch features a domed sapphire crystal with anti-reflective coating only on its interior. Therefore, the visibility is heavily compromised by unwanted glare and reflections as you can appreciate in the pictures. The Officine Panerai Radiomir S.L.C. 3 Days is powered by the in-house calibre P.3000, created entirely by Panerai in Neuchatel. This calibre that is fully visible via the display case back presents the main characteristics of the Panerai movements in terms of structure and robustness, accuracy and power reserve. The diameter of the calibre is 16½ lignes, a substantial size which traces its origins from that of the movements which were fitted to the historic Panerai models. The calibre is immediately recognizable by its construction, which is similar to that of a three-quarter plate movement: a large bridge, next to another smaller one, covers the majority of the mechanical parts, and is fixed to the bottom plate by a series of screws of substantial thickness, thus forming a particularly rigid structure. The movement has 21 jewels and it uses two spring barrels connected in series. Such an arrangement enables long, thin springs to be used, which ensure the delivery of a more even force over a longer period of time, with a power reserve of 3 days. The balance wheel is notably large —13.2 mm— and it is the variable inertia type, with four adjusting screws arranged externally round the ring, so that the rate can be regulated without the need to remove the whole assembly. Held by a bridge with twin supports —a fixing much safer and more stable compared to the cantilevered single bridge— the balance wheel oscillates at a frequency 21,600 vph. The calibre P.3000 also features a rapid time adjustment through a small spring clutch that enables the hour hand to be moved one hour at a time, without interfering with the movement of the minute hand or the operation of the watch. To enhance the vintage look of this watch and its direct connection with its predecessors from the 1930s, the watch is fitted with a beautiful vintage looking Assolutamente strap with large polished pin buckle. On the wrist, the Panerai Radiomir S.L.C. 3 Days PAM 425 wears true to its size but slightly different to other 47 mm Panerai watches. While its robust case construction and larger size might not appeal to everyone, this is a watch that doesn't look as big once it's on the wrist. One thing we can tell you, is that if your wrist is larger than 7.25" in circumference, you will find it difficult to wear this watch properly. The PAM 425 is definitely a classic Panerai well suited for the most demanding 'Paneristi' and one that will for sure be a conversation piece as there are only 1,500 pieces available of this particular watch worldwide. Sticker Price $8,700 USD. For more info on Panerai click here. Posted on August 12, 2014 by Editor & Publisher and filed under Panerai, Other Brands and tagged Officine Panerai Radiomir S.L.C. 'Siluro a Lento Corsa' 3 Days Panerai PAM 425 Panerai Calibre P.3000 Top Brands.